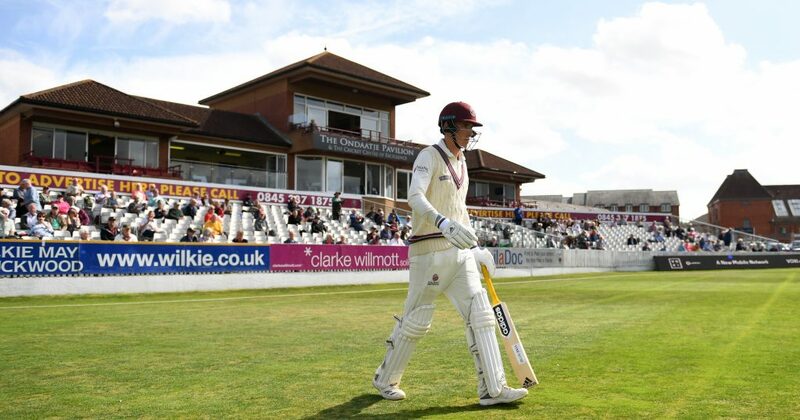 Somerset find themselves in a difficult position after Surrey had the best of the second day of this Specsavers County Championship match at the Cooper Associates County Ground. Having extended their first innings from an overnight 368 for four to 485 all out, Dean Elgar making 110 against his former county, the newly crowned champions then reduced their hosts to 122 for nine before rain and bad light intervened to wipe out the final session. Conor McKerr was the pick of the bowlers claiming three for 20. 19-year-old Tom Banton, opening the batting on his First Class debut, top scored for the hosts. He was eighth man out for 30, while Josh Davey was 22 not out at stumps. 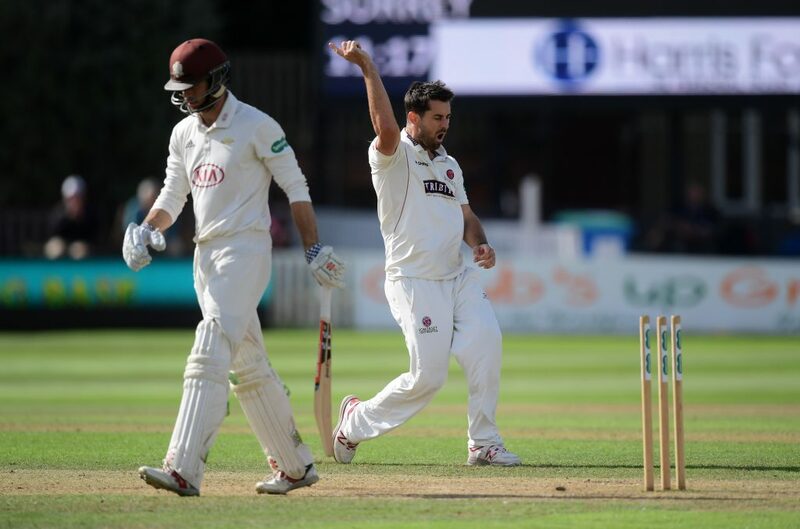 The day began with Somerset needing two wickets in 14 overs to claim a second bowling point. Tim Groenewald produced a good delivery to bowl Ben Foakes for 25, but at the end of the 110th over the scoreboard read 415 for five and, while Surrey claimed five bonus points from the innings, Somerset had to settle for one. Elgar went to a century off 170 balls, with 17 fours, and at one point the visitors were 446 for five. Wickets then fell in a cluster, Tom Abell claiming three and Jack Leach two, despite a late assault from Amar Virdi, whose four boundaries off successive balls from Leach took him to a career-best 21 not out. 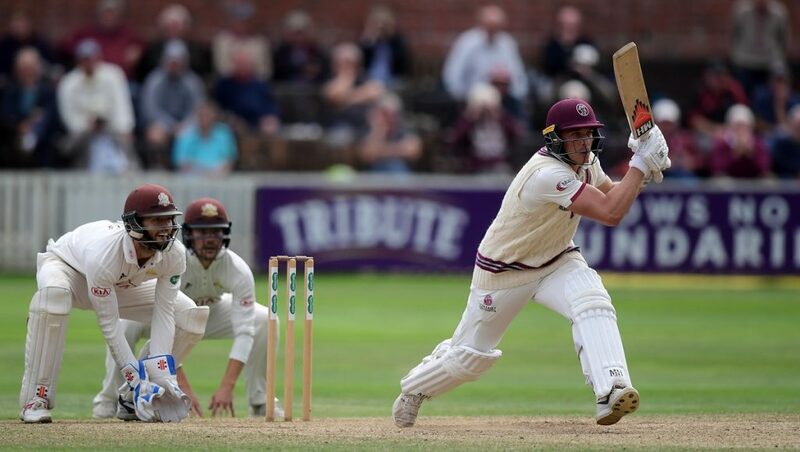 Lunch was taken at the end of the innings and Somerset’s reply got off to the worst possible start when Marcus Trescothick edged Morne Morkel’s first ball to second slip. The home side were soon 11 for three as Morkel finished a five-over opening spell with figures of two for eight. 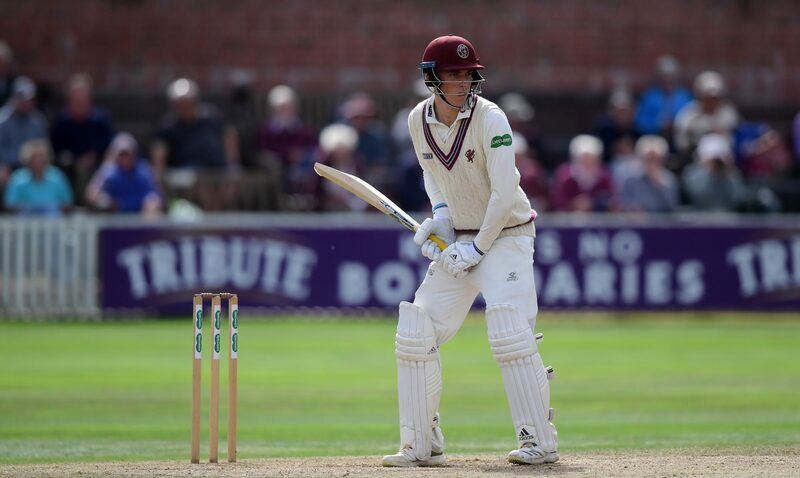 Tom Curran pinned James Hildreth lbw before McKerr got to work from the Somerset Pavilion End, sending back Davies and the Overton twins as the hosts slipped to 53 for seven. Abell was caught behind down the leg side off Rikki Clarke for 21, having played better than most. Banton had battled away for 62 balls before top-edging an attempted sweep off Virdi and falling to a second diving catch of the innings by wicketkeeper Foakes. Tim Groenewald helped Davey, who looked relatively untroubled in moving to 22, add 25 before falling leg-before to Clarke for 11 with the total on 109. 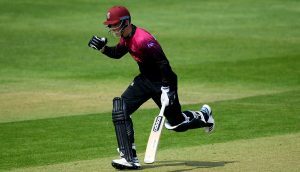 At the close of play Somerset Head Coach, Jason Kerr said: “Surrey had a great start and a good ball got rid of Marcus. That put us under pressure straight away and once you lose a couple of wickets early you are always on the back foot. “A positive that we can take from today is that when wickets were tumbling all around him Tom Banton looked incredibly composed. He showed the ability he’s got, which is incredibly exciting for him and for us.